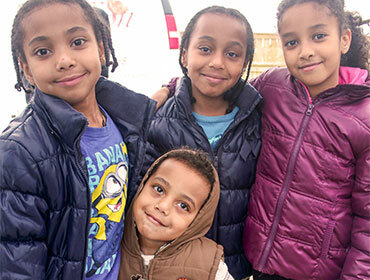 You can help families in communities all across southern Alberta. Find out where. You can contribute to construction, ReStore, events, committees and more! Build your brand through partnership or sponsorship. 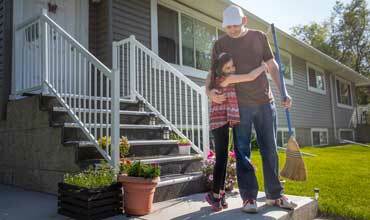 helps cover Habitat’s overhead costs so donations can go directly toward helping more families achieve home ownership. makes a difference in Southern Alberta. provides a foundation for a better future. 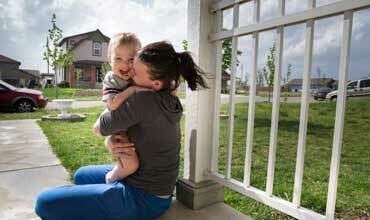 Habitat for Humanity helps families build strength, stability and independence through affordable home ownership. 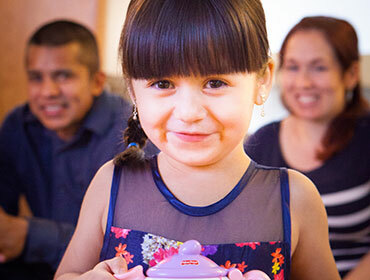 With the help of sponsors, donors, community partners and volunteers, we build homes and help families enter the housing market by purchasing homes through our affordable mortgage. Home ownership builds long-term stability and independence for families, while offering lasting, tangible benefits to our entire community. 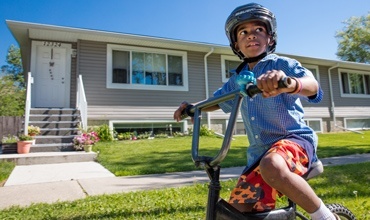 Habitat homeowners build their own homes alongside experienced staff and volunteers, and purchase their homes with a no down-payment, no-interest mortgage, giving them financial stability to build better futures. Their monthly mortgage payments are used to build more homes for more families, creating a cycle of paying-it-forward. 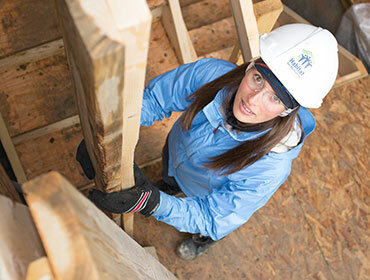 Habitat for Humanity Southern Alberta was established in 1990 and works in the communities of Airdrie, Black Diamond, Brooks, Calgary, Crossfield, Didsbury, Drumheller, High River, Medicine Hat, Okotoks, Olds, Pincher Creek and Turner Valley. To date, we have partnered with more than 250 families.